There is no better comfort food than a creamy and decadent cheese sauce with rich bits of salty cheese. 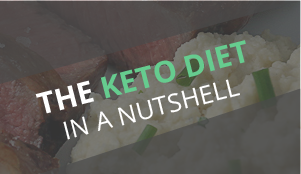 It’s true, alfredo sauce just cannot be topped…but it certainly can be improved upon, simplified, and healthied up. It just takes a few minor adjustments and some quick cooking tips to make this one pot shrimp Alfredo! 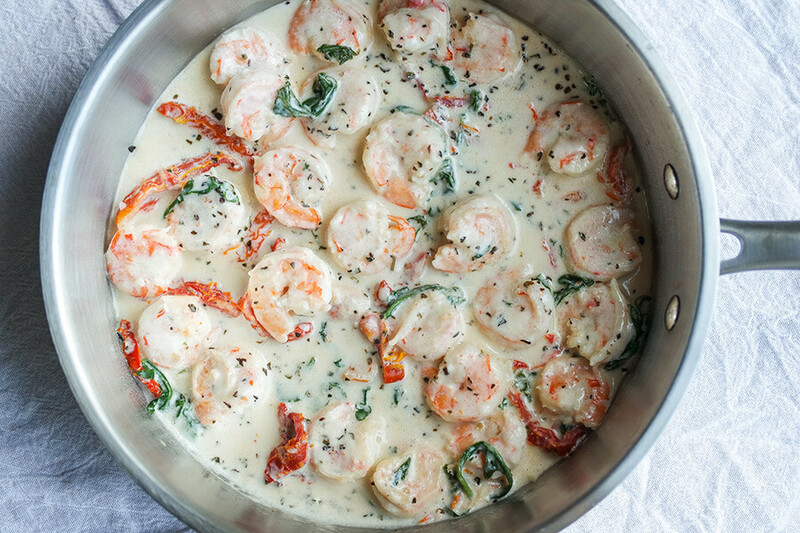 My absolute favorite part of this one pan recipe is that it goes from raw shrimp to a creamy sauce so quickly! 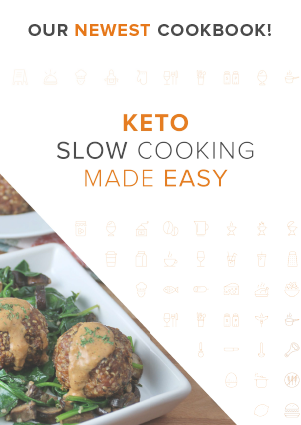 Because you are cooking everything in a series of quick steps, getting dinner on the table and in your belly is less of a marathon and more of a sprint. 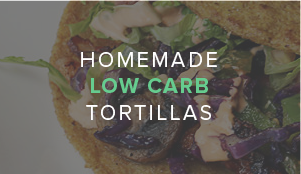 Plus, you can put this sweet and salty sauce on top of any low-carb vegetable and it’s amazing. 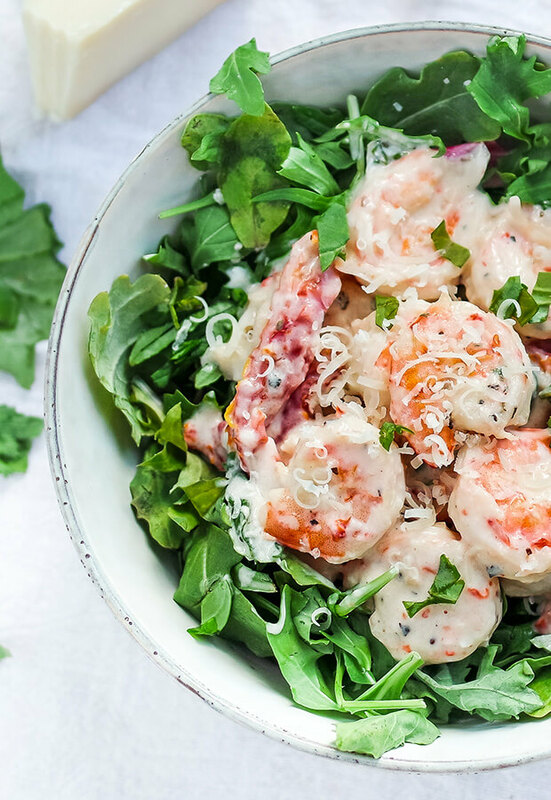 Pictured below is the sauce and shrimp over a bed of fiber packed greens but you could do anything from cauliflower rice to zoodles. 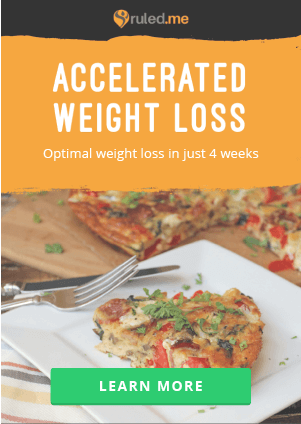 The second most appealing alteration of this recipe is that it uses a mixture of milk and cream cheese as the sauce to take out the agonizing “cooking down” portion of making alfredo. 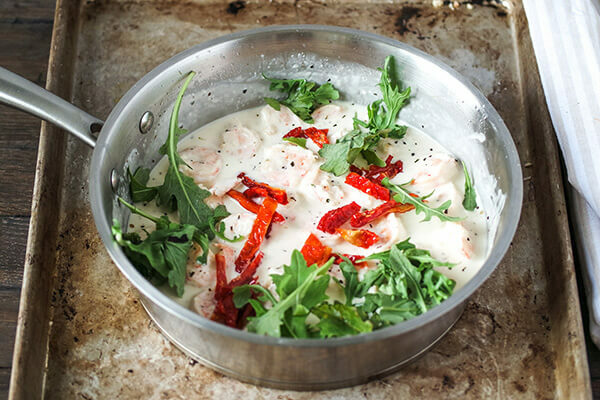 Just a little butter, cream cheese, milk, and Parmesan makes this sauce come together in a snap. Dried herbs are also perfect for a quick meal with minimal prep work and they are easy to keep on hand! *Cleaned plus tails and shell removed. 1. 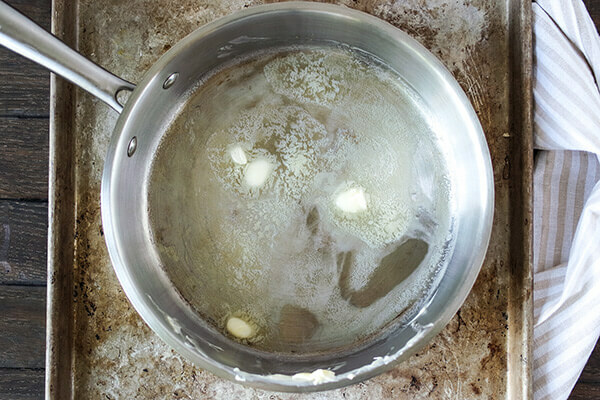 Melt butter in a large skillet over medium heat. 2. 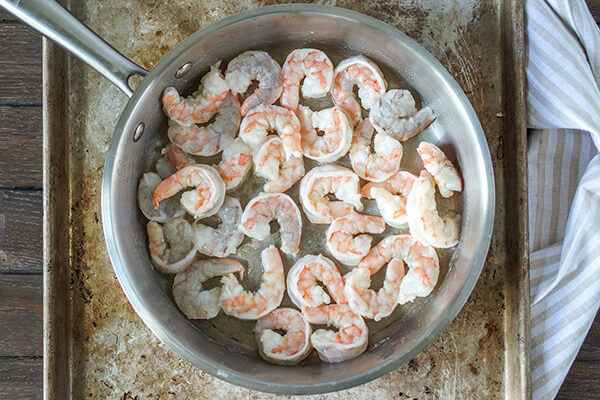 Add the shrimp to the skillet and reduce heat to medium low. 3. Turn the shimp after about 30 seconds and cook the other side until they are only slightly pink. 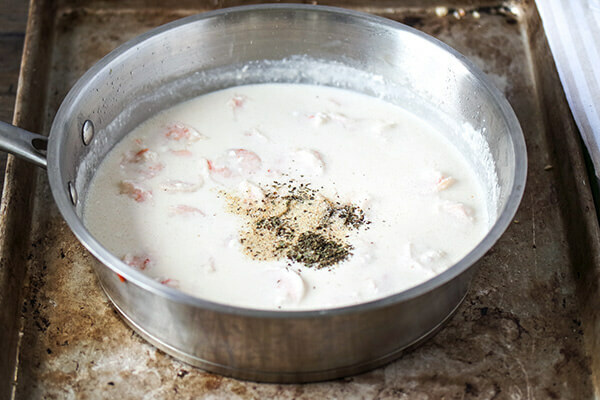 This is important because the sauce will continue to cook the shrimp once it is added. If you over cook the shrimp it will become tough and rubbery! 4. 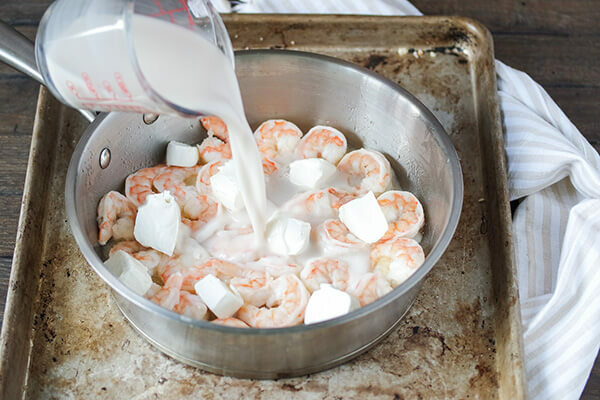 Add cream cheese cubes to the shrimp pan. 5. Pour milk into pan and increase your heat to medium. Stir frequently until the cream cheese has melted into the milk and no lumps are present. 6. Sprinkle the garlic, basil, and salt into the pan and stir well. 7. Dump in the Parmesan cheese and stir to combine. Let simmer until the sauce begins to thicken. 8. 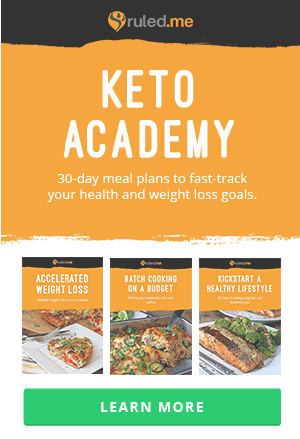 Complete the dish by folding in sun dried tomatoes and baby kale or spinach. 9. Remove from heat and serve hot! 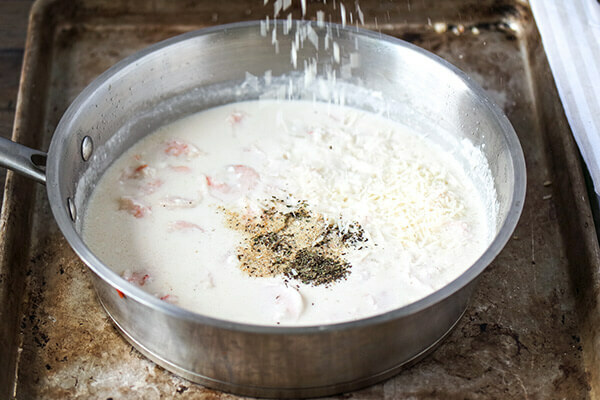 This makes a total of 4 servings of One Pot Shrimp Alfredo. 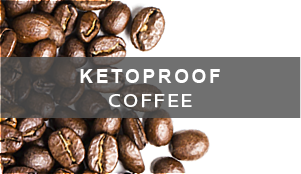 Each serving comes out to be 297.83 Calories, 17.55g Fats, 6.51g Net Carbs, and 22.93g Protein. 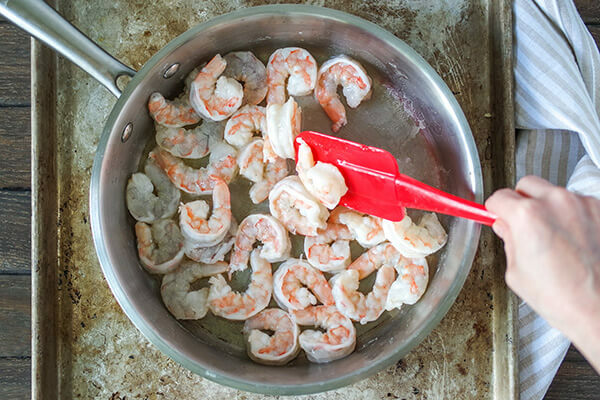 Add the shrimp to the skillet and reduce heat to medium low. Turn the shimp after about 30 seconds and cook the other side until they are only slightly pink. 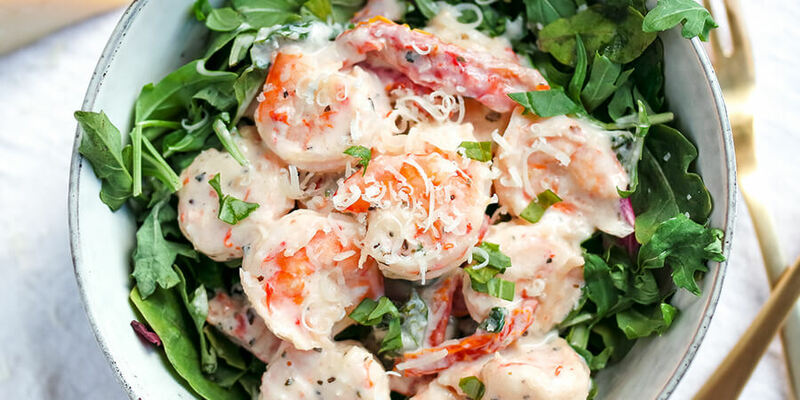 This is important because the sauce will continue to cook the shrimp once it is added. If you over cook the shrimp it will become tough and rubbery! 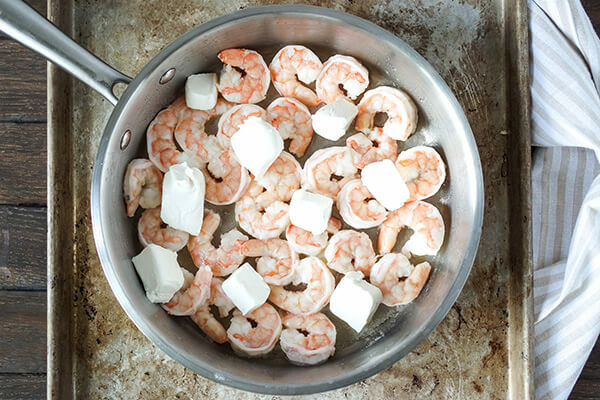 Add cream cheese cubes to the shrimp pan. Pour milk into pan and increase your heat to medium. Stir frequently until the cream cheese has melted into the milk and no lumps are present. Dump in the Parmesan cheese and stir to combine. Let simmer until the sauce begins to thicken. 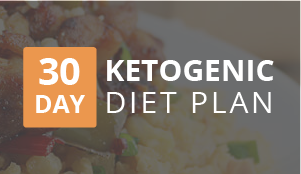 Complete the dish by folding in sun dried tomatoes and baby kale or spinach.